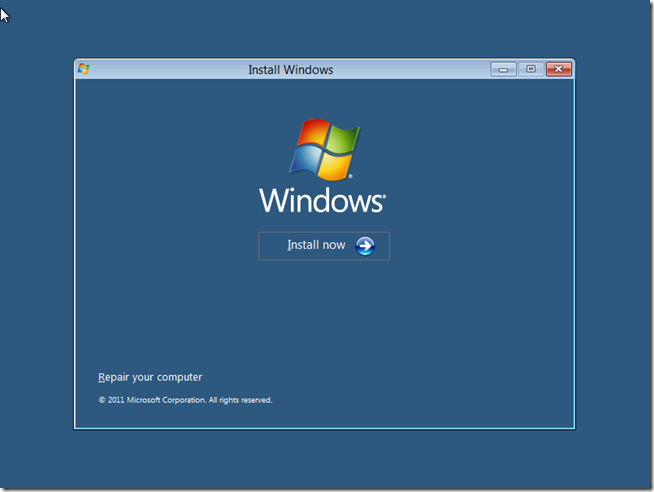 The scenario: you are in a situation where you have Windows 7 installed and you really want to try out Windows 8, but your PC does not support virtualization and you don’t want to have to format since Windows 8 is still in pre-beta and the chances are that there are some things that are broken. The only option you have here is to dual boot. The only thing that is required in order to dual boot is a hard drive with at least 20 Gigs of free space, it will work with a bit less but this is the minimum we recommend. 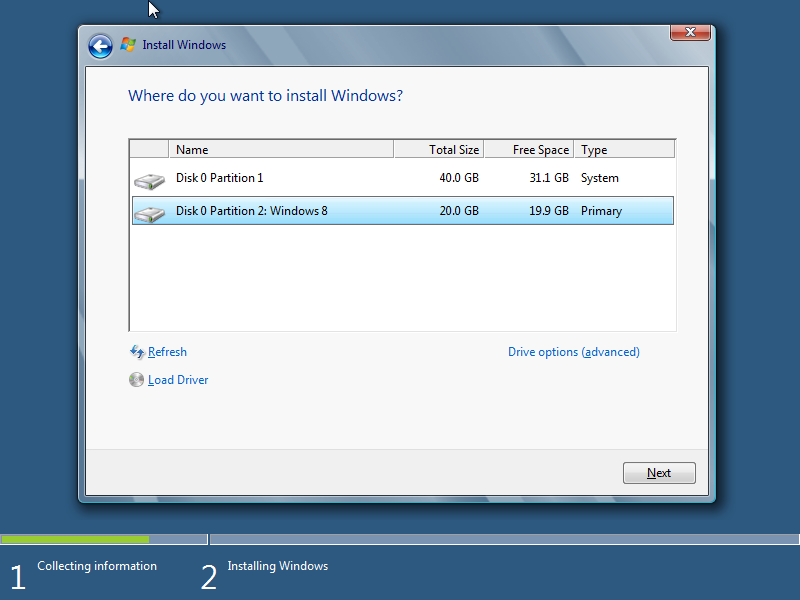 To get started we need to logically separate those 20 Gigs from the space that Windows 7 is currently using, to do this we need to create a new partition. 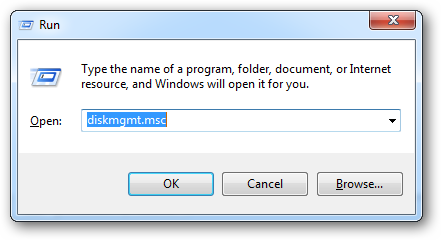 You can do this in the disk management MMC snap-in, to launch the snap-in press the Windows Key + R to launch a run box, type “diskmgmt.msc” into the run box. 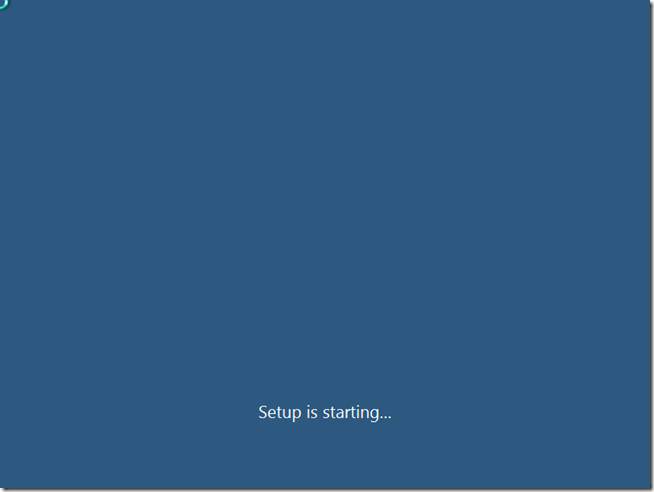 Once you press enter or click the ok button, a MMC will load with the disk management snap-in pre-loaded. From here you can get a nice overview of your hard drives. 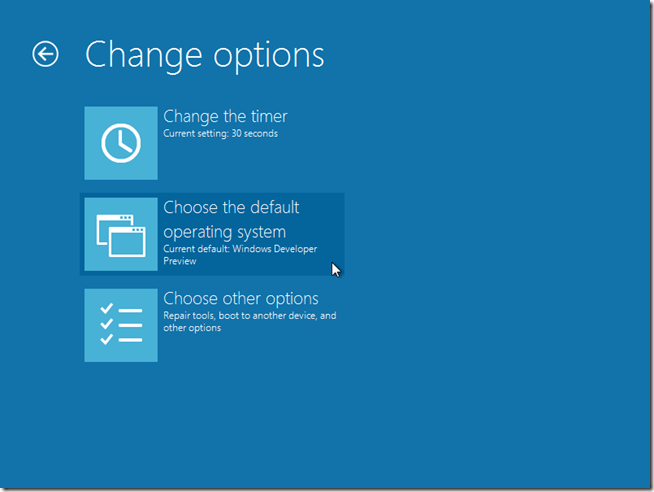 A dialog box will appear asking you how much you want to shrink the drive by. 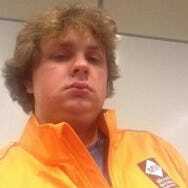 It asks you how much you would like to shrink in megabytes, so remember that there is 1024 megabytes in a gig so in our example we shrink 20 gigs which is20480 megabytes because 20*1024=20480. 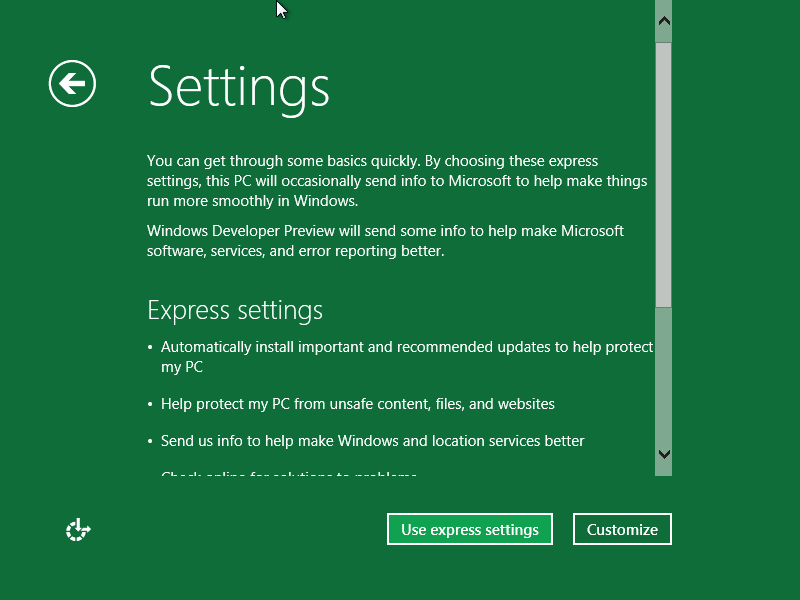 Once you click the shrink button Windows will shrink your drive. 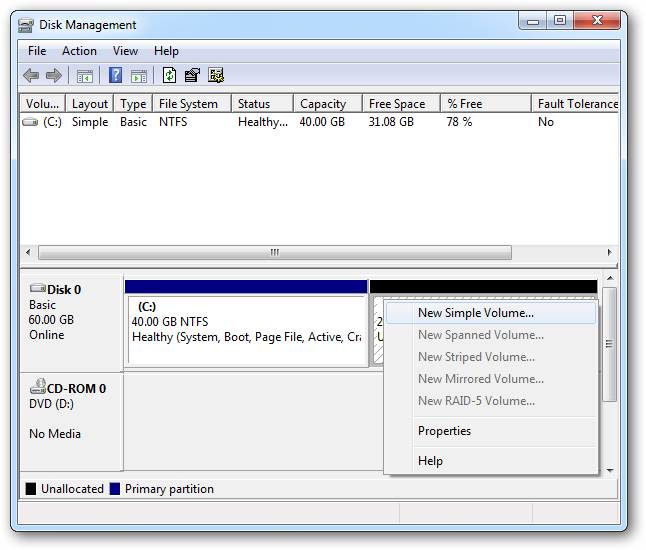 Once it has completed shrinking your partition, the Disk Manager will display this new space with a black header meaning it is an empty partition, you now need to give it a file system. 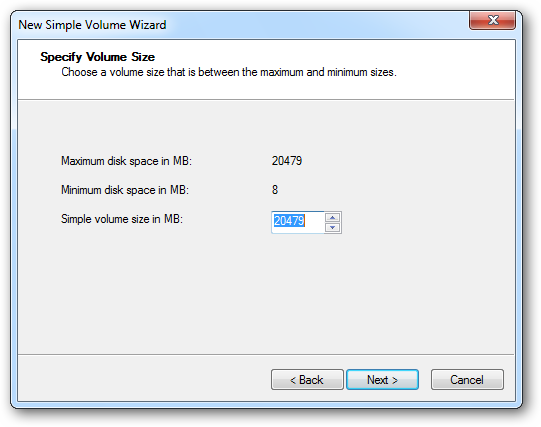 To format the drive with a file system right click on the black space and select “New Simple Volume”. A wizard will launch this is going to take us through all the steps we need to format the drive. 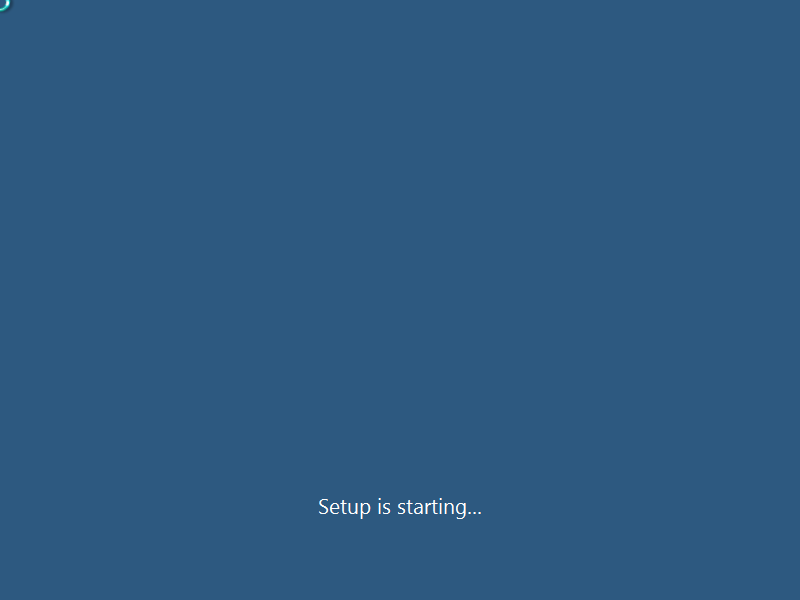 On the welcome screen you can just select next to be asked how much of the unallocated space you want to use, we recommend you leave the default which will use all the space you set aside if you alter this it may result in some space going to waste. 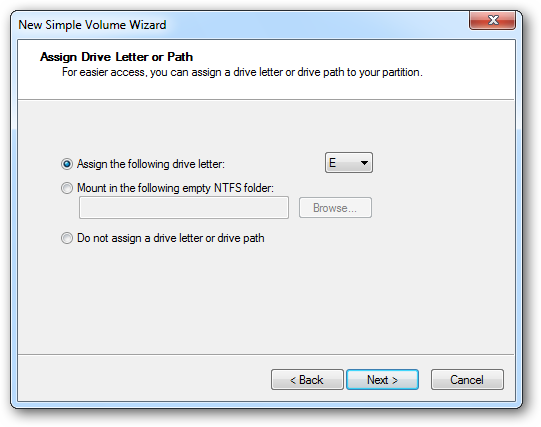 In the next dialog it asks you to assign it a drive letter, you can accept the defaults and click next. 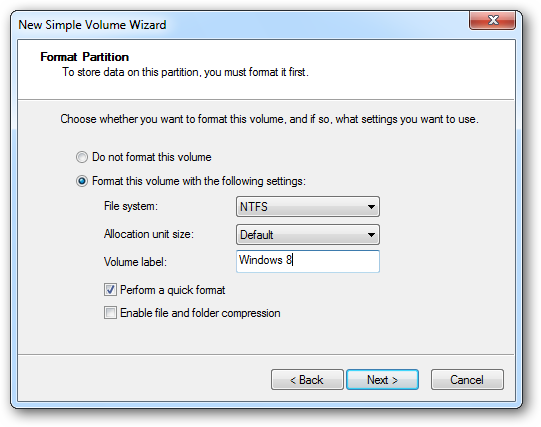 On the format partition step of the wizard you can leave everything at defaults accept for the Volume Label which you should change to something memorable for example “Windows 8” this is important as this is the partition you will have to select at install time. Click next and finish to initiate the format. Once the format is finished the once black header will now be blue and you are ready to install Windows 8. 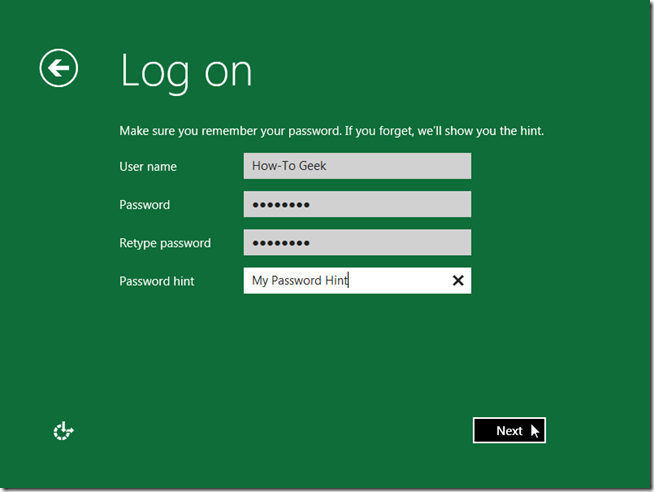 If you haven’t yet downloaded a copy of the Windows 8 Developers Preview you should head over here and grab yourself a copy. Once you have either burned the ISO to a DVD or used the USB Download Tool to make a bootable USB you are ready to go, simply insert you DVD or plug in your USB and boot from the device. You might have to into the BIOS and change the boot order but since you dual booting pre-beta software we’ll assume you capable of that much. 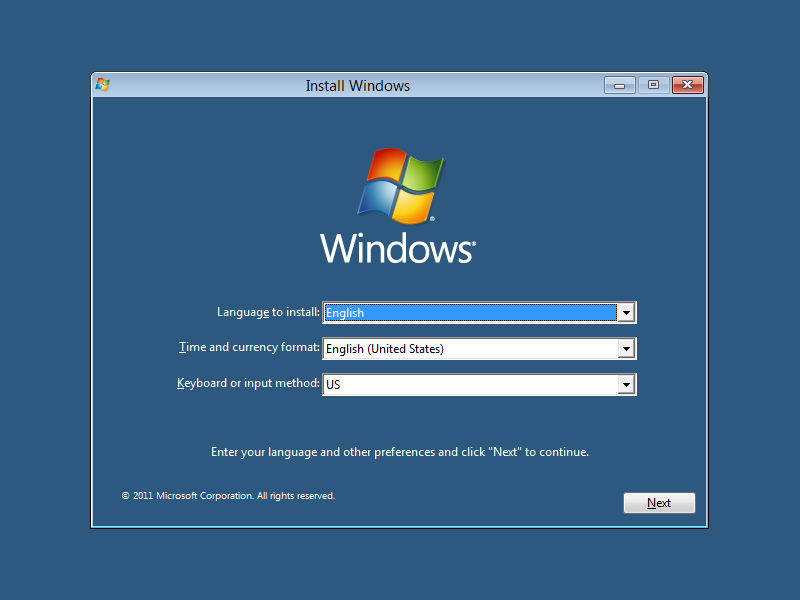 If you see the words “press any key to boot from CD or DVD” quickly press any key on your keyboard to begin configuring the installation. Once you have selected your languages the your are ready to install Windows 8. 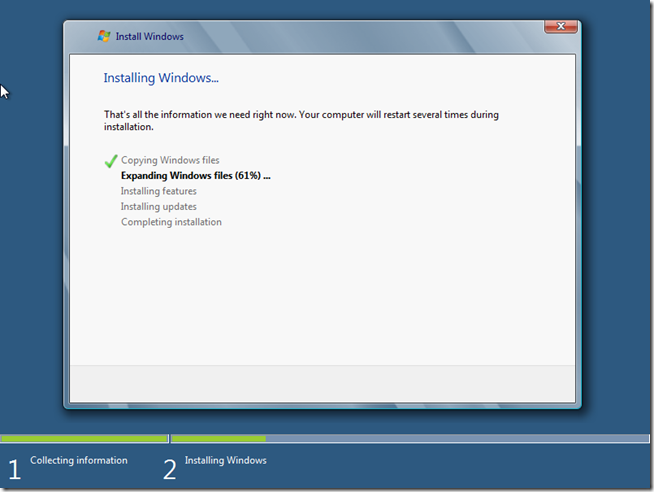 So click the install button to get started. After setup has completed you will be asked to accept the license agreement, after you have read it, fill the check box and click next to move on to the installation type. 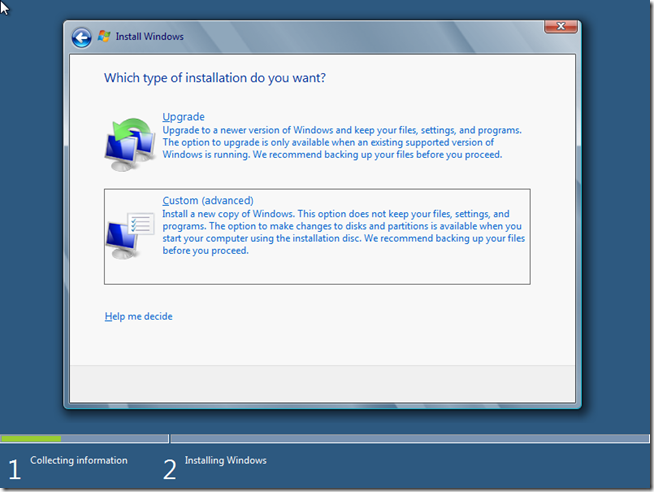 You should choose the custom installation option. The next decision you will have to make is a critical one. 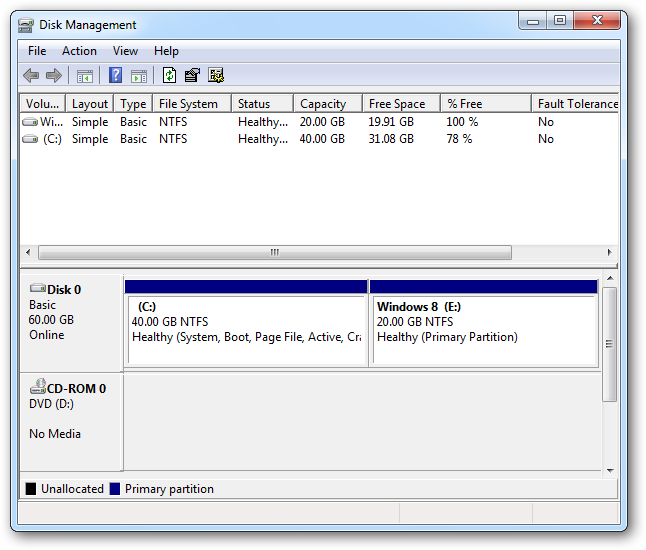 Choosing the wrong partition to install on will result in data loss so make sure to choose the one that we created earlier. Once you have selected the partition and clicked next. 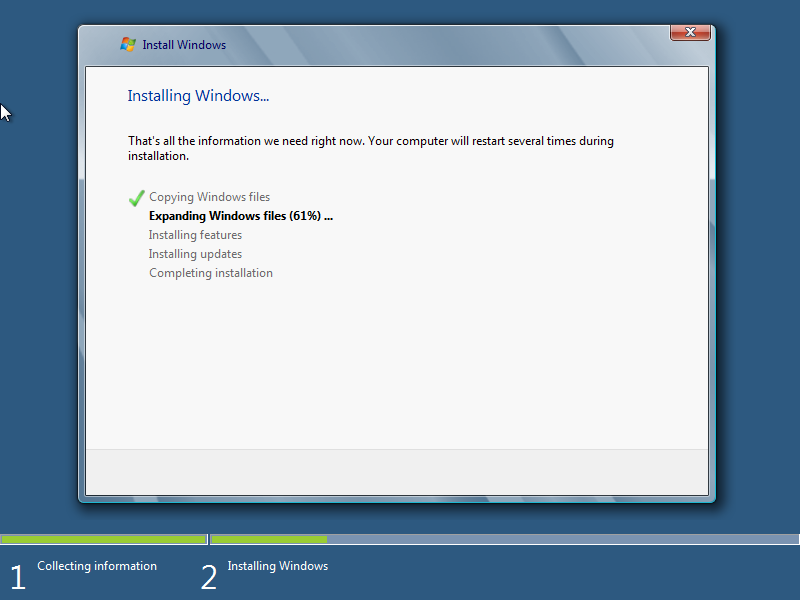 The installation will start. 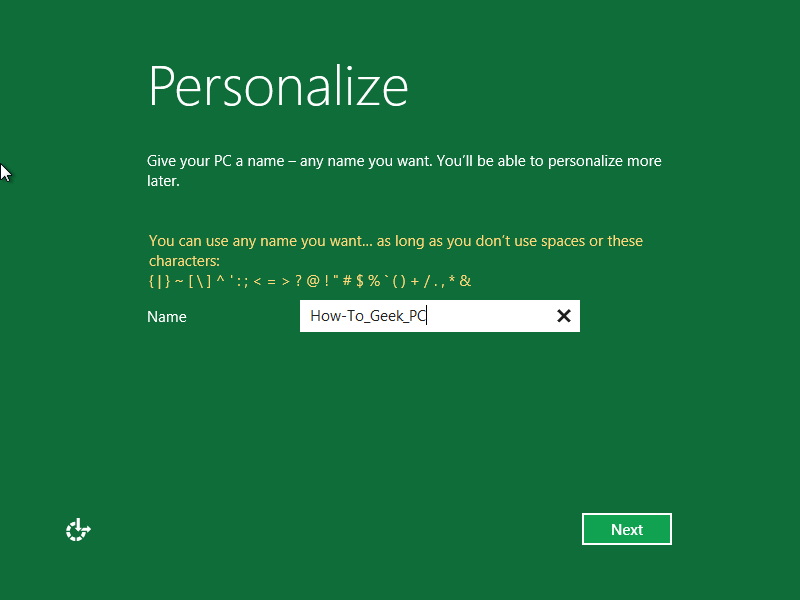 Once the installation in complete you will be asked to give your PC a name, then click on the next button. 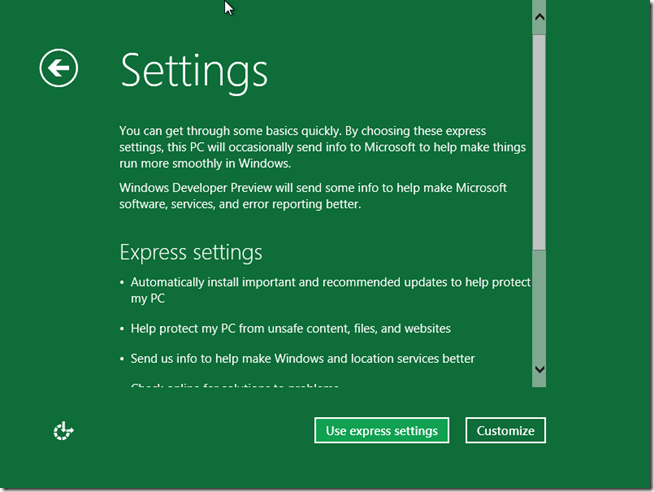 The settings page that you will see next has two options, Use express settings and Customize, we’ll choose use express settings but feel free to choose custom option and specify your own settings. 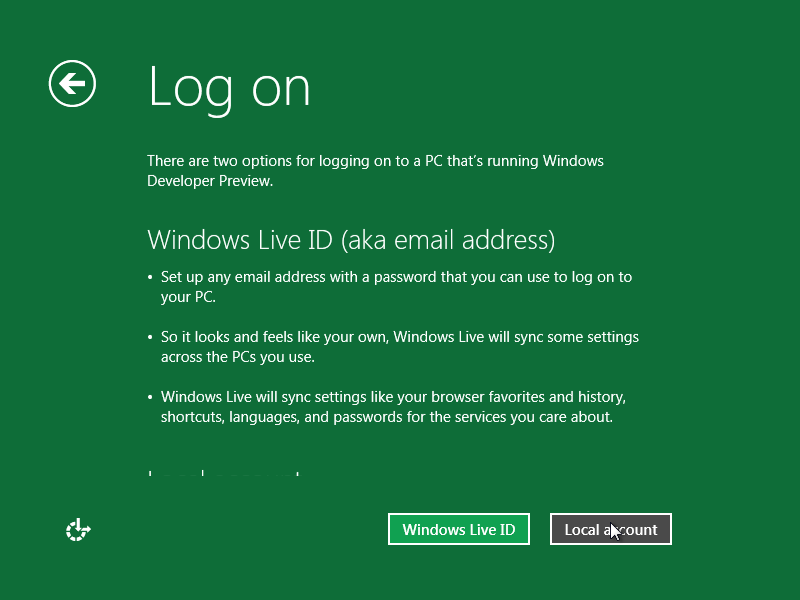 The next decision you will have to make is whether you want to log into your computer using a Windows Live ID, or create a local account. 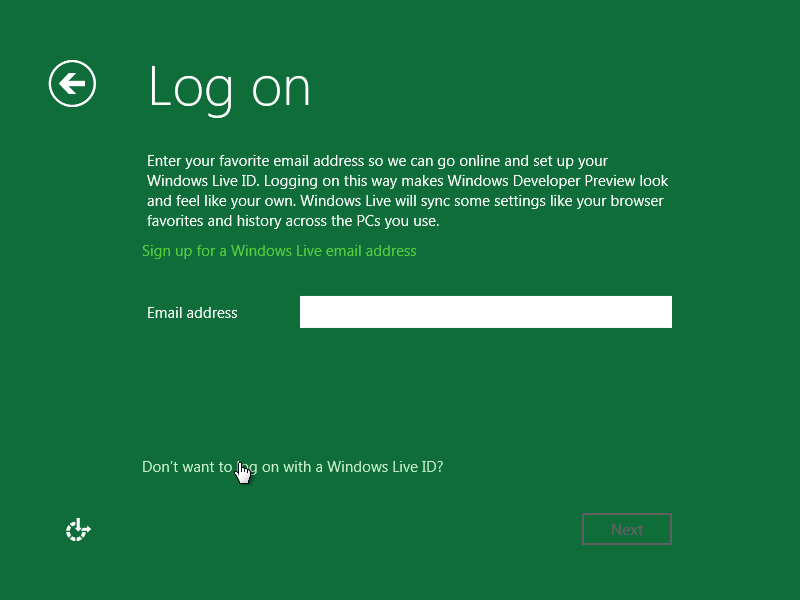 We want a local account so we’ll click the link that says Don’t want to log in with a Windows Live ID. Then we’ll choose local account on the next page. 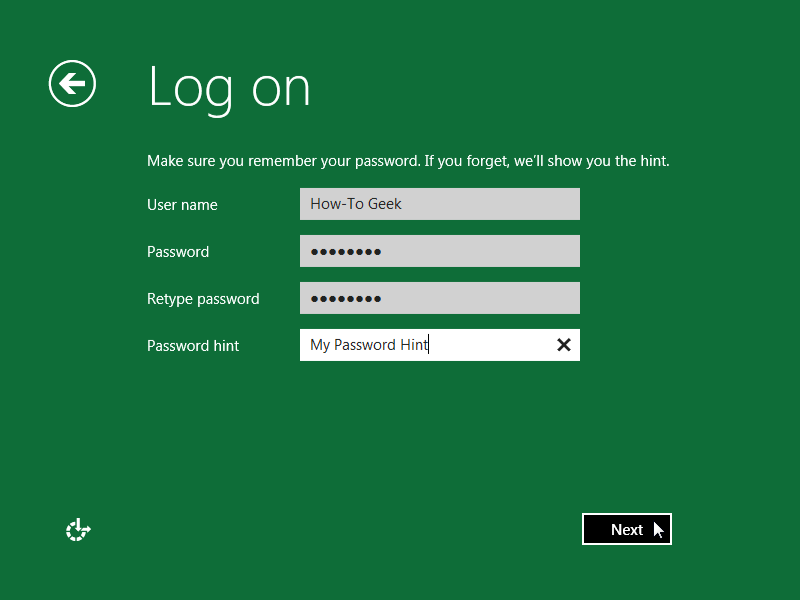 Type the name that you want to use as a log on name, also choose a strong password and a hint just incase your forget your password. When you done click next, your account will be created and you will be logged in. Once it has logged you in you can restart your PC to see the new OS Selection screen. 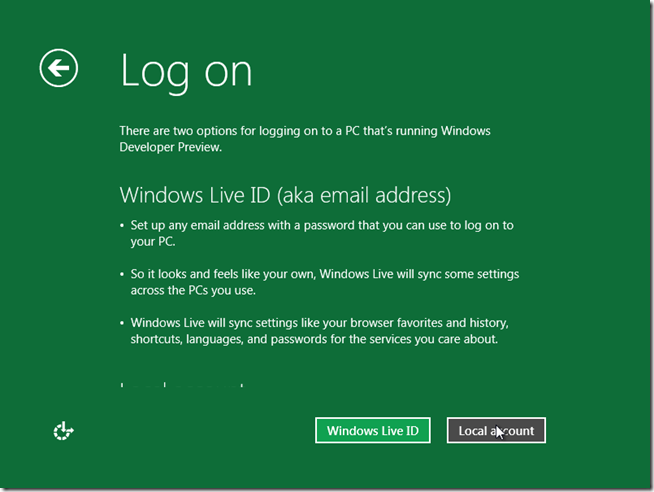 By default it will boot into Windows 8 after 30 seconds of inactivity, you probably don’t want this. 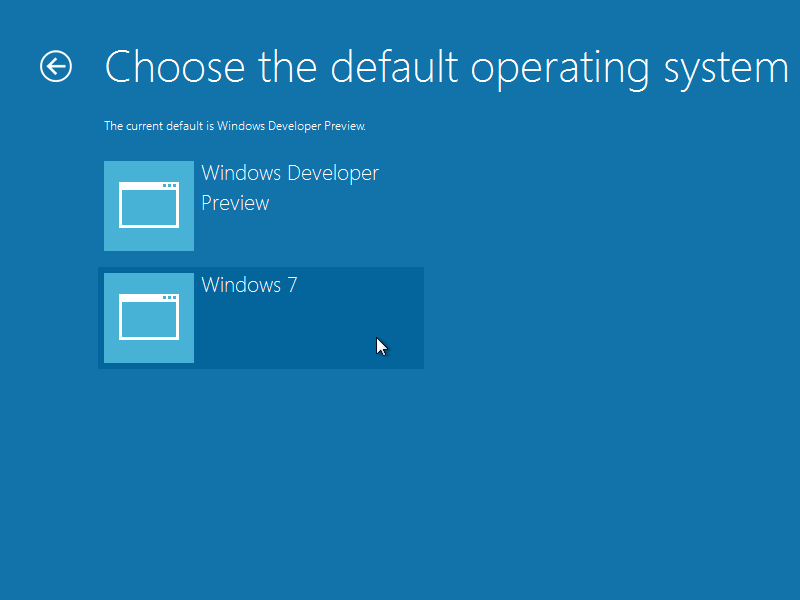 To change the default back to Windows 7 click the Change defaults or choose other options link at the bottom of the screen. 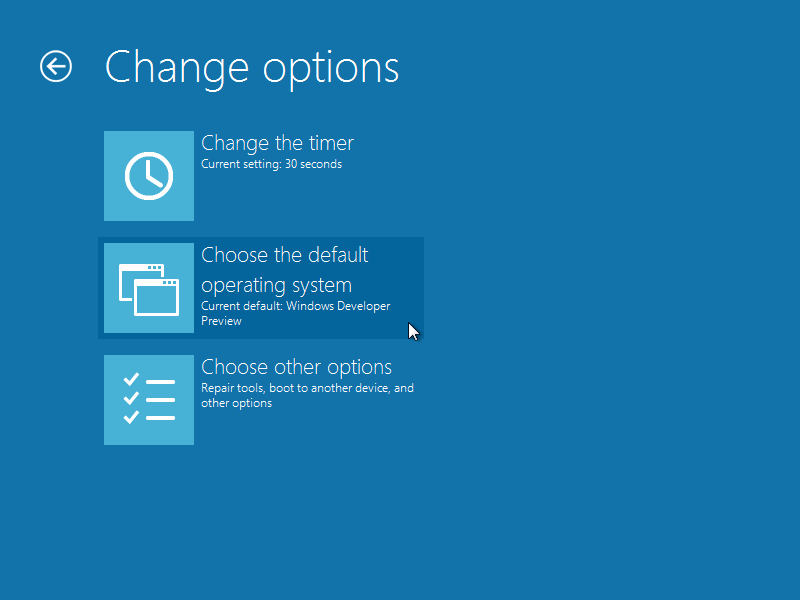 Now choose the change default operating system link. 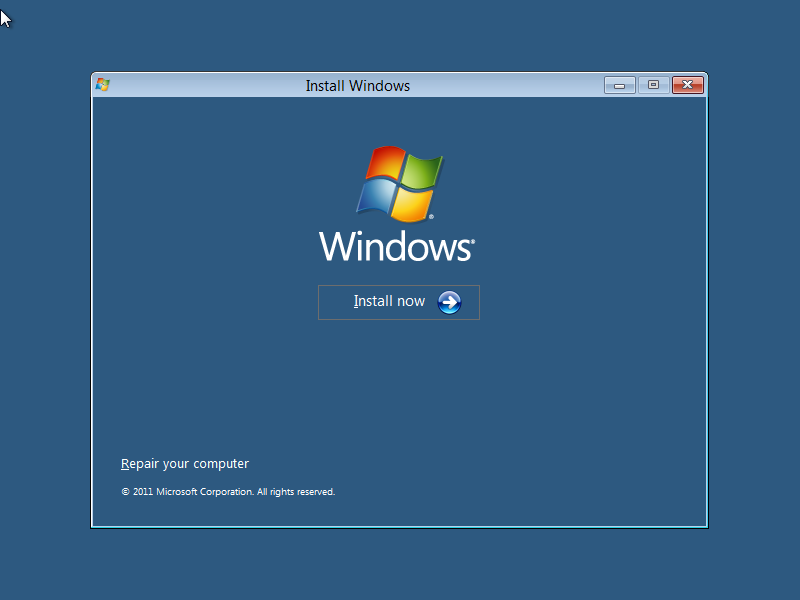 And finally select Windows 7. That’s all you have to do to reap the benefits of both worlds. 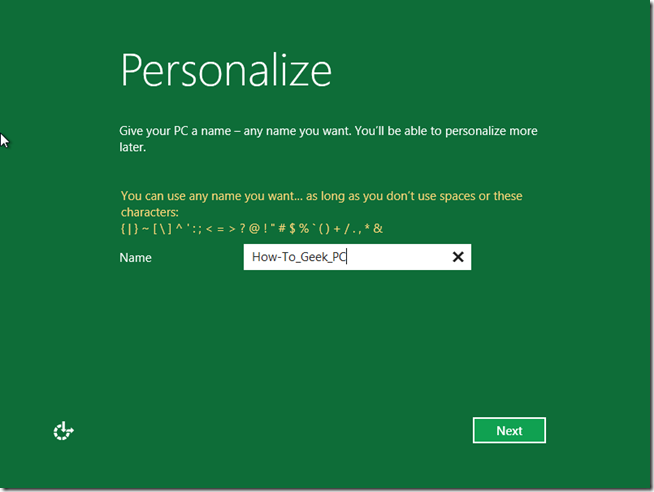 To get started with Windows 8, you should probably check out our guide to all the new awesomeness it brings.